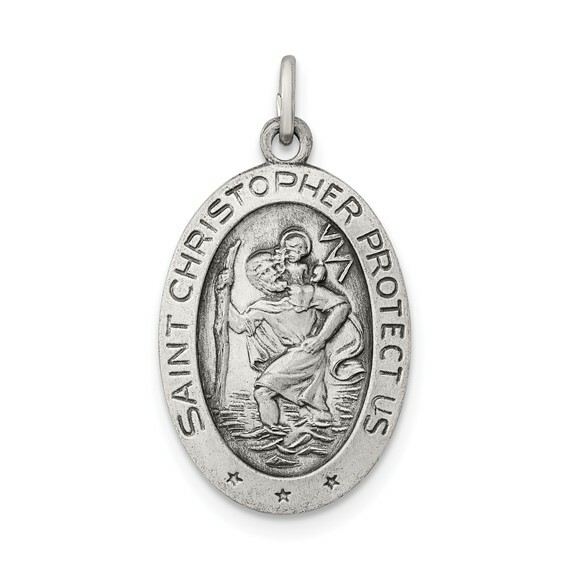 This small oval sterling silver St. Christopher medal has a satin finish. Measures 11/16 inch tall by 1/2 inch wide without bail. Weight: 1.46 grams. This item is slightly smaller than a dime. Fits up to a 2.5mm wide chain. Back is engravable upon request. Made in USA. I bought these St. Christopher's medals for two recent graduates of an elite Air Force program to be added to their dogtags. They were of high quality and were well received...especially by their mother!